We love watching our sisters slay across the pond at London Fashion Week! From supermodels like Jourdan Dunn to Empire's Serayah McNeill, these are the chicest moments served up by trendsetting celebs. 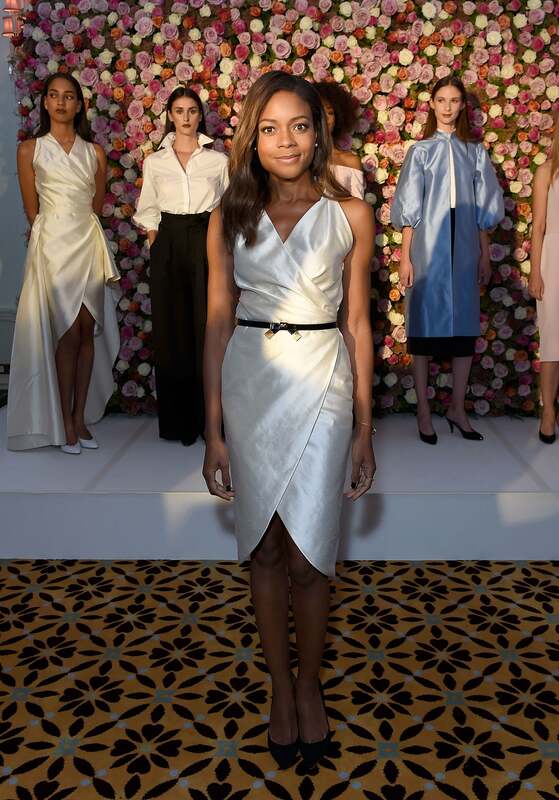 Naomie Harris attends the launch of new luxury womenswear label Maison Makarem during London Fashion Week SS 17. Jourdan Dunn at the Burberry September 2016 show during London Fashion Week SS17. Jourdan Dunn attends the LOVE Magazine and Marc Jacobs LFW Party. Jourdan Dunn attends the launch of "Vogue: Voice Of A Century", a new book celebrating Vogue Britain's centenary year during London Fashion Week SS17. Jourdan Dunn and Winnie Harlow attend the XXXXXXX show during London Fashion Week SS17. Winnie Harlow attends the launch of i-D's 'The Female Gaze' issue hosted by Holly Schkleton and Adwoa Aboah during London Fashion Week SS17. Winnie Harlow attends the LOVE Magazine and Marc Jacobs LFW Party. Winnie Harlow attends the VERSUS show during London Fashion Week Spring/Summer collections 2017. Serayah McNeill attends the Farfetch LFW event hosted by will.i.am at Loulou's in London. Serayah McNeill attend the Topshop Unique show during London Fashion Week Spring/Summer Collections 2017 at Old Spitalfields Market. Serayah McNeill attends LOVE Magazine and Marc Jacobs LFW Party to celebrate LOVE 16.5 collector's issue of LOVE and Berlin 1989 at Loulou's. Serayah McNeill attends the Sophia Webster SS17 Presentation during London Fashion Week at Elms Lesters Gallery. Serayah McNeill attends the VERSUS show during London Fashion Week Spring/Summer collections 2017. Serayah McNeill attends the House of Holland runway show during London Fashion Week Spring/Summer collections 2017. Serayah McNeill, Kyle De'volle, Alicia Rountree and Caroline Winberg attend the Julien Macdonald runway show during London Fashion Week. Hannah Bronfman attends the Antonio Berardi show during London Fashion Week Spring/Summer collections 2017. 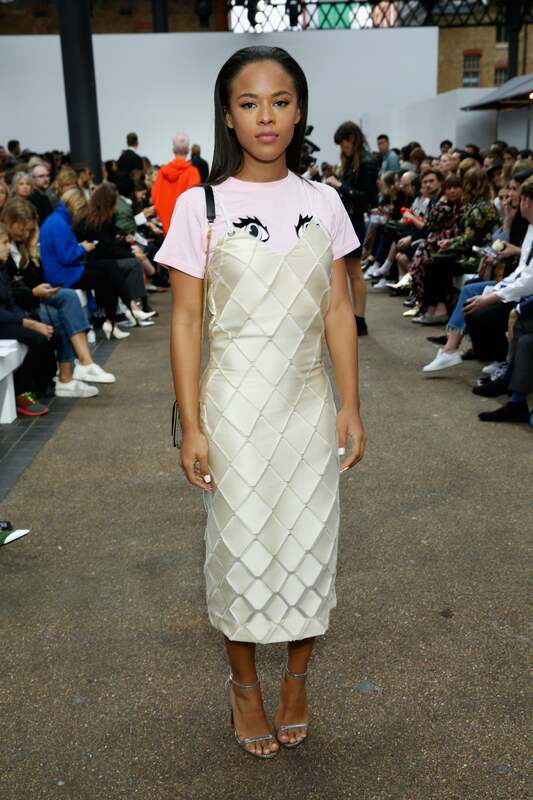 Hannah Bronfman attends the Topshop Unique show during London Fashion Week Spring/Summer collections 2016/2017. Ella Eyre attends the Bora Aksu show during London Fashion Week Spring/Summer collections 2017. 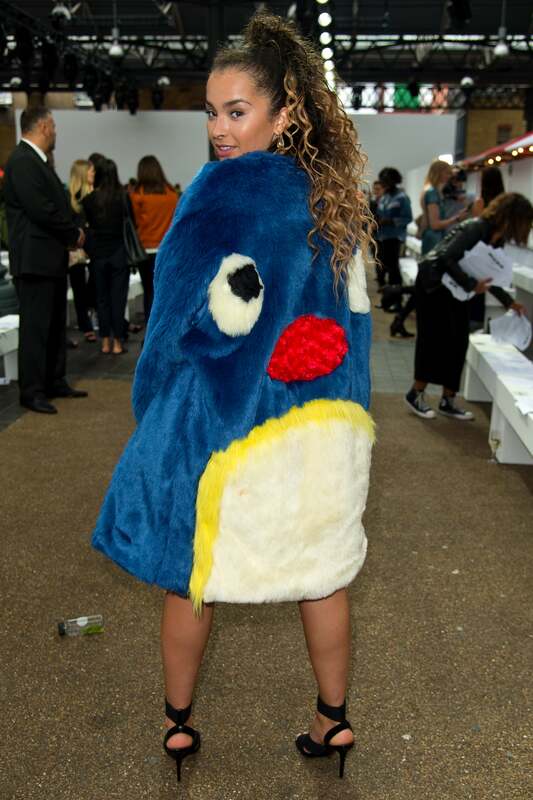 Ella Eyre attends the Ashish show during London Fashion Week Spring/Summer collections 2017 on September 19, 2016 in London, United Kingdom. Ella Eyre attends the Malone Souliers London Fashion Week SS17 Presentation. Ella Eyre attends the Julien Macdonald show during London Fashion Week Spring/Summer collections 2016/2017. Ella Eyre attends the Jasper Conran show during London Fashion Week Spring/Summer collections 2016/2017. Ella Eyre attends the Aspinal of London presentation during London Fashion Week Spring/Summer collections 2017. Ella Eyre attends the House of Holland runway show during London Fashion Week Spring/Summer collections 2017.